September | 2016 | Footwear Fashionista … a sneak peek into my shoe closet! Fierce! 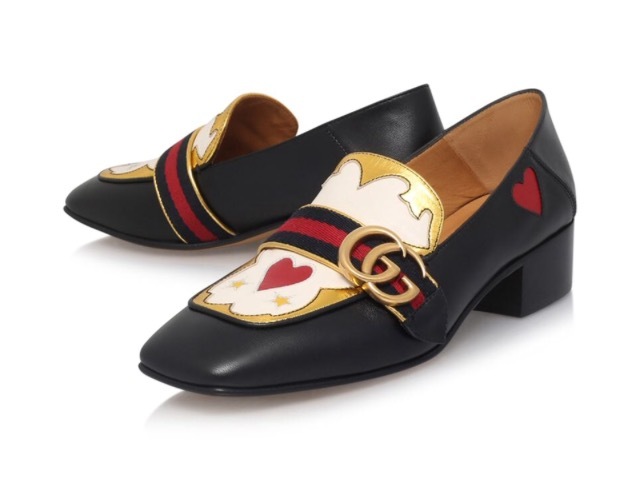 I became obsessed over these Gucci “Peyton” Texas embroidered heart, black leather loafers. I’m not sure if I was obsessed over the shoe or the challenge to find the sold-out shoe. But I prevailed and when they finally arrived, I knew they were keepers. 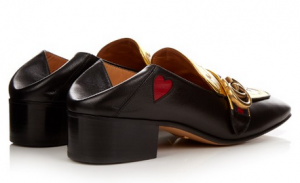 A red leather, heart is emblazoned across the front of the shoe along with gold leather trim and metallic stars. The classic two-toned stripe webbing is adorned with the antique gold-toned GG. 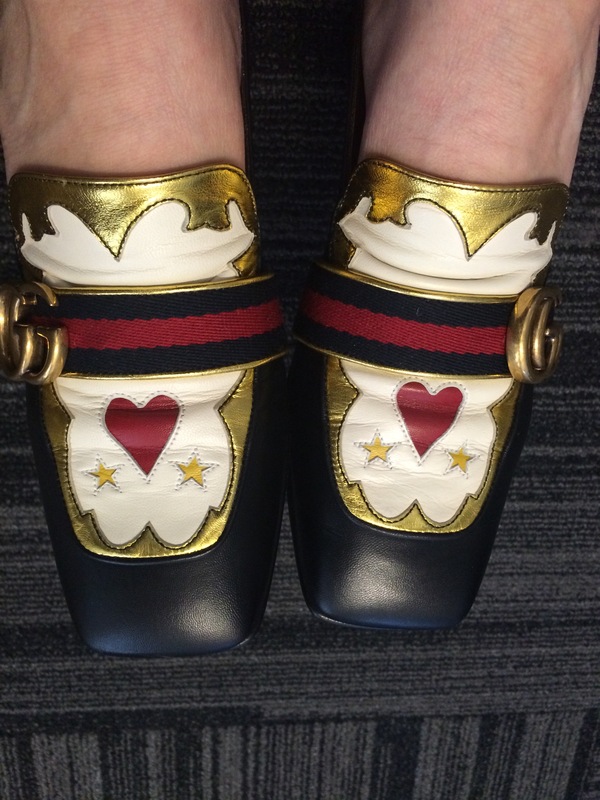 The side of the shoe also has a little red leather heart. Seriously, what is not to love about these shoes! They are ridiculous! There is a standard 1.5″ loafer heel, but Gucci has started a unique convertible trend … is it a loafer or a slide? That’s right, the back folds in for a quick change of style. You get 2 pairs of shoes for the price of one … or so I’ve justified my love.